Police are on the lookout for a blue and white pickup truck used in an armed robbery at a gas station late Friday night (Dec. 22, 2017). At 11:44 p.m., police say, a man armed with a knife demanded money from the cashier at the Petro Canada service station on Kokanee Way in Kamloops. The man stole an undisclosed amount of money and fled the area in an older Ford pickup truck driven by an accomplice. 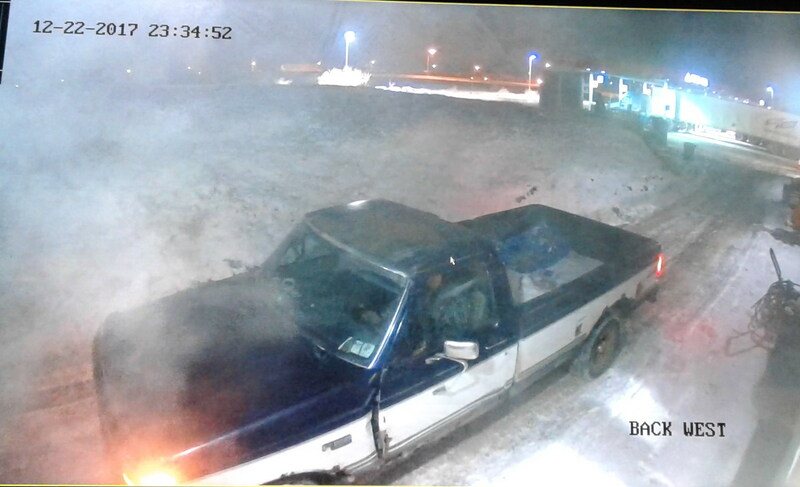 The truck is described as a mid ’90s blue-over-white pickup with damage to the body and rusted fender wells. The suspect is described as Caucasian, 25 years old, 5 ft. 7 inches tall, blue eyes, dirty blond hair, beard, and wearing a dark hoody with a large Blue Jays logo on the front. Anyone with information regarding this crime please contact the Kamloops RCMP at 250-828-3000 or Crime Stoppers at 1-800-222-8477.